Whether you have several seat belt violations on your record or this is your first offense, I will provide you with dedicated, focused legal assistance in Statesville, NC. In North Carolina, all backseat and front seat passengers in a vehicle over the age of 16 are legally required to wear their seat belt. Drivers and passengers who do not follow this law can be stopped by a law enforcement official and fined for not wearing their seat belt. Like other types of traffic violations, seat belt violations carry charges that drivers in Statesville, North Carolina may be unaware of how to fight. Fortunately, you have me, W. Sloan Goforth, Attorney at Law, on your side. Whether you have several seat belt violations on your record or this is your first offense, I will provide you with dedicated, focused legal assistance. I understand that when you receive a ticket for not wearing a seat belt, you will have concerns about the actual fine and amassing points on your driving record. I am here to preserve your best financial interests as far as the fine is concerned and to help you protect your right to drive. I also realize that being charged with a violation for not wearing your seat belt can be a stressful experience. My goal throughout the duration of your case is to make sure things go smoothly, so you do not experience any unnecessary hassle and stress. Although receiving a ticket for a seat belt violation may seem minor, I encourage you to not underestimate the severity of the repercussions associated with these types of traffic offenses. Contact my office today to find out more about seat belt violations and to set up your free initial consultation. 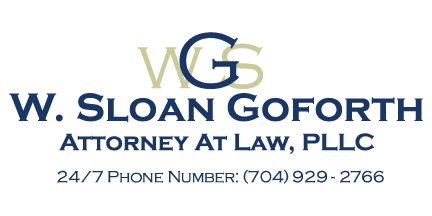 At the office of W. Sloan Goforth, Attorney at Law, we can help with legal cases regarding seat belt violations for residents of Statesville, Troutman, Taylorsville, Mocksville, Mooresville, Hickory, Iredell County, Alexander County, and Davie County, North Carolina.